While many commercial settings have regular cleanings as part of a maintenance schedule, air ducts are often one of the more overlooked aspects. With regular cleaning, your HVAC system efficiency will improve, as well as extend the individual components lifespan. Aside from providing cleaner air to breath, clean ducts also conserve energy, saving you money in the long run. Some choose to clean air ducts as often as once a year, while others prefer to have them cleaned when it becomes apparent they are dirty. According to the National Air Duct Cleaners Association (NADCA), “If your air ducts look dirty, they probably are.” Unfortunately, air ducts are typically out of sight, out of mind, since they are not easily visible in most business and don’t cause any immediately obvious problems when dirty. 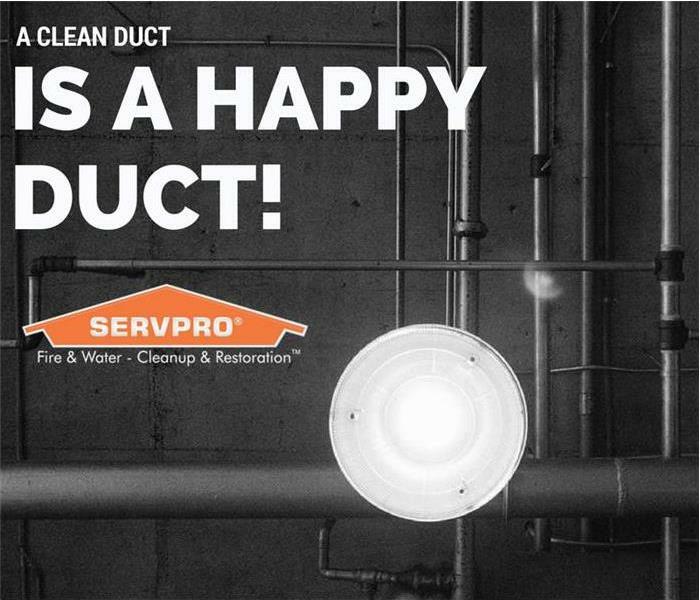 If you haven’t cleaned your ducts in a while or are looking to plan a regular cleaning schedule, let our expert crews at SERVPRO of Pitt/Greene counties get the job done the right way. We will work with you and schedule our professionals to take care of all your cleaning needs. At SERVPRO of Pitt/Greene Counties, we strive to make our customers happy. This is something true of most respectable companies, but few succeed after their customer has just seen their house on fire, tried to stop a broken water line from flooding their home, or found a large patch of mold in their business. These sorts of unexpected emergencies can dramatically impact people’s lives and leave them emotionally distraught. That’s why our crews treat you with humility and compassion. The recovery process after severe damage takes time, meaning our people can sometimes spend weeks or even months getting to know our clients and their families. It is our job and mission to take care of your precious belongings and restore your home or business—to make you happy. 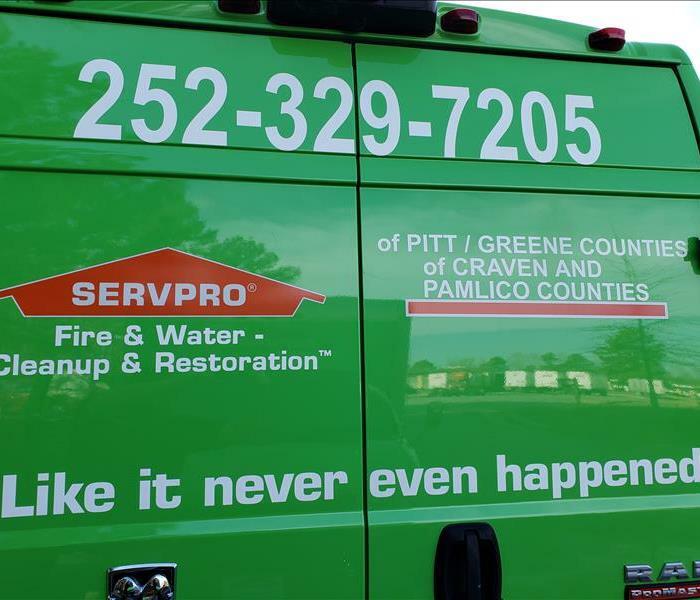 While many people know and trust SERVPRO of Pitt / Greene Counties for our professional fire and water damage remediation, there are many other areas our expertise can benefit your Greenville, NC home and business. For example, fire and smoke/soot damage in a commercial building typically requires professional HVAC and air duct cleaning which our crews are experienced with and prepared to help, no matter the size of job. We are also equipped and certified to handle a wide variety of other situations such as biohazard cleanup, sewage, trauma & crime scenes, vandalism & graffiti, and more! If you have questions about the services we offer, give us a call at: (252) 329-7205 or visit our services page. Our crews will be happy to help you with whatever you need, from carpet cleaning to fire, water or mold remediation. Dishwashers are a convenient and quick way of handling a dirty task. As much as they may be appreciated, they can cause some unexpected problems such as a leak in the middle of the night. This could leave your Greenville, NC business or house in dire need of water extraction and clean up that may be beyond your means of handling. The water damage remediation experts at your locally owned and operated SERVPRO® are more than equipped to handle such a situation. Our experts know that the longer water remains on an effected area, the more damage it can cause. This knowledge is critical and motivates our crews to get your home or business taken care of as quickly as possible. Our crews are prepared to respond to an emergency water damage situation 24/7, giving you peace of mind that whenever you might need us, we are #HereToHelp. Our crews are also equipped with advanced tools to determine where moisture is present and then remove it. One of these tools—an extractor—can simultaneously remove water while also applying heat to help dry the space it is extracting water from. We also have pumps if there is larger pools of water, and of course, the materials we need to cleanse and sanitize any affected areas. How Many Fire Alarms Do I Need in My Home? Ionization smoke alarms are the best at detecting hot, fast-moving fires, whereas photoelectric smoke alarms are best at detecting slow-burning smoky fires. If a fire alarm equipped with both technologies is available, strongly consider opting for it. If not, using a mixture of the two throughout your Greenville, NC home should work nearly as well. Make sure your detectors are connected. In the event that you have a house fire, having connected fire detectors can give you an even faster alert of trouble. This is especially important in loud environments or larger homes, as you may not be able to hear the alarm in the affected area until significant fire and smoke damage has occurred. Be sure your detectors haven’t expired. 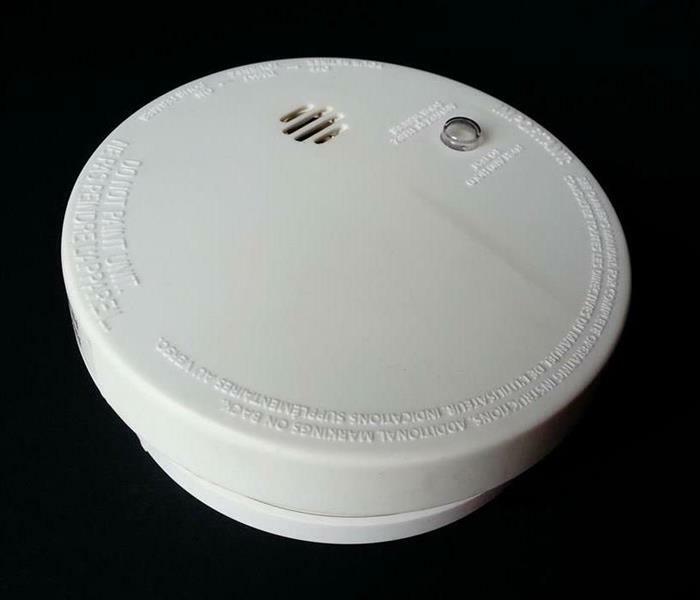 Smoke alarm manufacturers place the build date on the back of the detector. You should replace your detectors after 10 years from that date has passed, unless the manufacturer recommends a different replacement time. Keep your batteries fresh and ready to go. Many people replace their batteries on a set schedule, such as a specific day to remind themselves. Others wait until their detector begins a low-battery beep. If you prefer waiting until the alarm, be sure to replace all batteries at the same time. Fire alarms are a must-have safety device in any home. They are very low maintenance, provide years of service, and can give you and your family peace of mind. Of course, there is always a chance that even with the best preparation, unforeseen circumstances can happen. 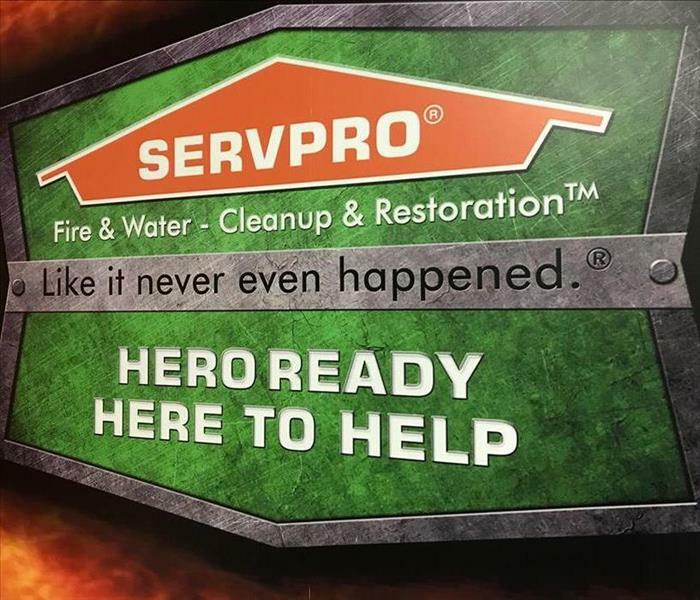 Just remember, if you or someone you know is in need of professional cleanup or restoration services, our 24/7 emergency crews here at SERVPRO® of Pitt/Greene Counties are #HereToHelp. For questions or information, give us a call at: (252) 329-7205, or visit our website. 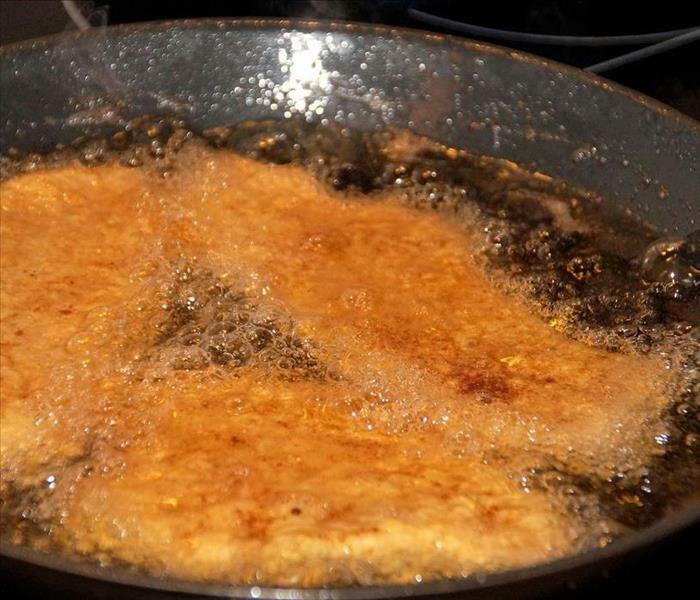 Frying is one of the most frequent causes of home cooking fires. With cooler temperatures outside, many of us choose to stay inside and cook something new and exciting to pass the time. While generally a great idea, be mindful that cooking fires are the number one cause of home fires in the united states. To stay on the safe side, let’s take a moment to learn some more about this kind of danger and how you can prevent it. To start, let’s take a look at the numbers: According to the National Fire Protection Association (NFPA), cooking accounts for about 47% of home fires, 20% of fire-related deaths and 45% of the fire-related injuries reported across the country each year. Scary though these figures may be, there are many steps you can take to prevent these kinds of fires. As simple as it sounds, monitoring what you cook can be tremendously helpful: the NFPA states that nearly one-third of kitchen fires happen when the person cooking leaves the equipment they’re using unattended. If you’re using the oven, just be sure to check in on it regularly! Also, be sure to keep oven mitts, plastic/rubber utensils, towels, paper products and other flammables away from heat—they can start a fire just as easily as burnt food! Always stay in the kitchen when frying. If you see smoke coming off the food you’re frying, turn off the burner or safely remove the pan from the burner. Smoke is a sign the oil is too hot. Slowly heat the oil to the temperature you need. Add food to oil gently, laying it away from you so that it does not splatter. Always keep a lid beside your pan. If the pan does catch fire, cover it with the lid and turn off the banner. Let the oil cool before removing the lid again. NEVER put water on a grease fire. If a fire starts to spread, leave the house immediately and call 911. Greenville, NC Residents, is Your Business Prepared for an Emergency? Many businesses aren’t prepared for emergency damages that can cripple productivity and longevity. That’s why the professionals at SERVPRO® offer a business ready plan app called the SERVPRO® Emergency READY Profile—or ERP—at no-charge so you can prepare for Water Damage, Fire Damage, Smoke Damage, Mold, or a Bio-Hazard contamination. This plan could save you hundreds or even thousands of dollars and give you peace of mind that in an emergency, you have a plan. Typically, the faster the response time to an emergency, the better the chances of minimizing primary and secondary damage. 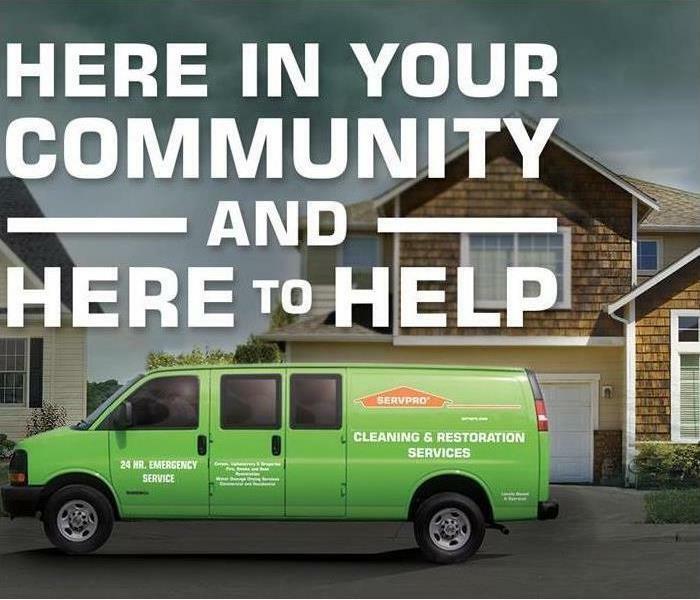 We here at SERVPRO are known to be “Faster to Any Size Disaster”, and are available 24 hours a day, 7 days a week—meaning you can rest assured that we are here for you any time, any day. As the temperature outside continues to drop, we respond with heating our homes more frequently, or even by introducing new heat sources such as a space heater. 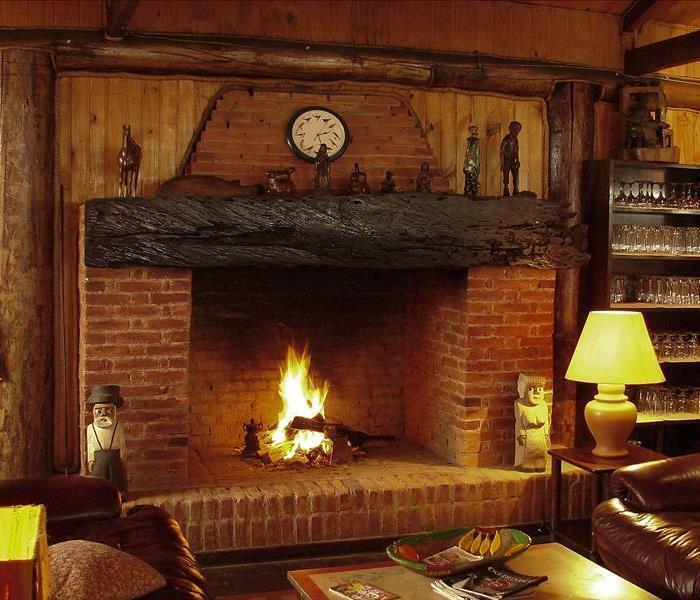 As warm and cozy as this might make you feel, there are some important considerations you may want to review. Heating equipment fires accounted for 15% of all reported home fires in 2011-2015—or over 25,000 residential fires related to space heaters. The following guidelines can help you choose the right heater to keep you and your family safe. Second-hand goods are a great way to be frugal, but purchasing a newer model heater branded with the Underwriter's Laboratory (UL) label should ensure that all of the current safety features are present. Heater size can make a big impact on your energy bill. Typically, manufacturers will have a guide on the box to help you choose the optimal sized heater for your needs, so be sure to pick the right size. If available, choose a thermostatically controlled heater to further reduce energy costs. Place the heater you choose on a stable, level surface where pets and children cannot accidentally harm themselves. Also, be sure not to place your heater anywhere near materials that can combust. Older structures are more susceptible to moisture after heavy rain, meaning water can sometimes seep in or leak where it shouldn’t be. 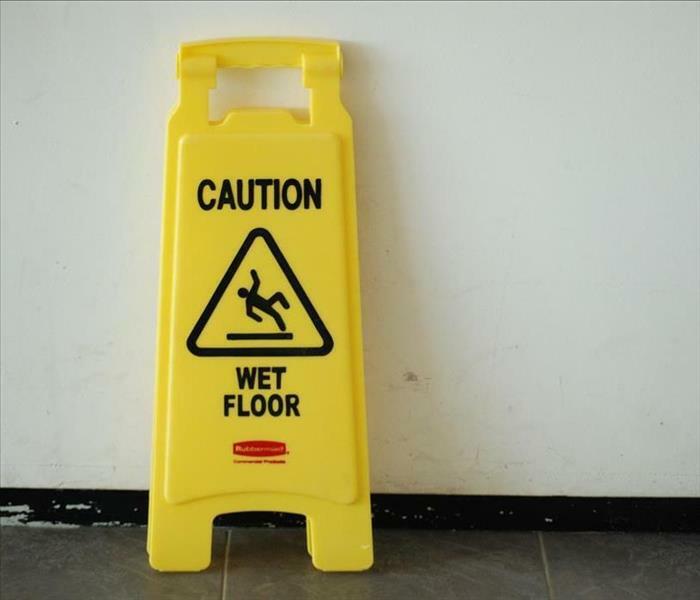 In small doses over wide intervals, it may not do any noticeable damage, but If the issue occurs more frequently and is left untreated your home or business may receive permanent damage. Enlisting experts like your locally owned and operated SERVPRO can help to eliminate this problem and save you considerable time and money in the long run. Our professionals can help you immediately by using specialized equipment to extract water and dry the affected area. Our equipment can get underneath the surface of carpets and into the padding, eliminating moisture all the way through. We can also help you in the long run by cleaning the structure and contents with our safe, effective sanitizing treatments. These preventative measures keep unwanted growth away and prevent materials from swelling or corroding. To further give peace of mind, we check under your crawlspace (if applicable) to make sure no further damage has occurred. We also check your subflooring and inspect the layers of your carpeting and padding to verify our extraction methods have fully dried out the affected area. Lastly, we will test the humidity to ensure it is in an acceptable range, indicating that moisture levels are low enough to prevent secondary damages. Once completed, we can walk through with you and explain what we did, how we did it and of course answer any other questions you may have. For more information, please call us at: (252) 329-7205, or visit us at our website. Your locally owned and operated SERVPRO of Pitt/Greene Counties are available 24 hours a day for fire and water emergencies. If you have suffered from water damage, our crews can get to you fast to take care of the situation. This fast response is important, since just a few hours can make a huge difference. Dealing with an emergency can be a stressful, frustrating, and emotional experience. We here at SERVPRO understand this, and are here for you throughout the process. If you need experts that are compassionate as well as capable, call us at: (252) 329-7205. 1/9/2019 - Greenville, NC Residents, is Your Business Prepared for an Emergency?